Life has gotten so busy for me with a full time job and two little kids. Somedays I find it very hard to cook anything. I have been freezing food a lot, whenever I cook, I make the double the quantity and freeze half. So these become my weekday dinners. But once in a while – atleast once or twice a week, I make something different. It is my way to enjoy my favorite thing – cooking. 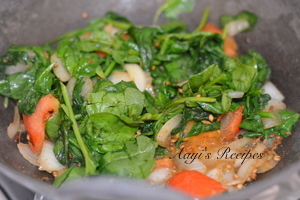 Few days back, I prepared this delicious spinach cashew chicken curry. I make this same dish with paneer or eggs instead of chicken sometimes. Black cardamom gives it a great aroma. 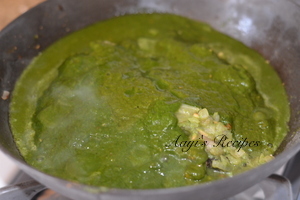 Spinach base gives a healthy thick consistency. It goes so well with chapatis or rice. A very fragrant, delicious chicken with spinach and cashews. 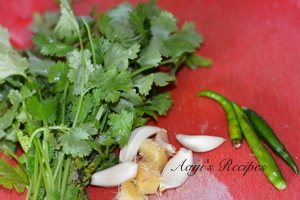 Make a paste of coriander leaves, green chillies, ginger, garlic. 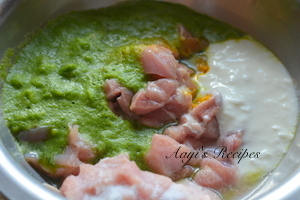 Add the paste, yogurt(curd) and little salt to chicken pieces and leave it aside for about 30mins. 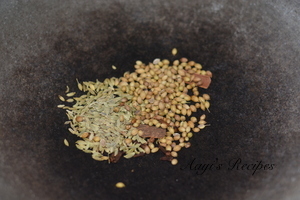 Heat oil and add cumin, cinnamon, fennel seeds, coriander seeds. Fry a bit and then add onion and fry till they are translucent. 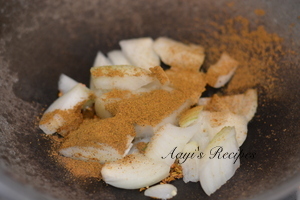 Add garam masala and fry for few mins. 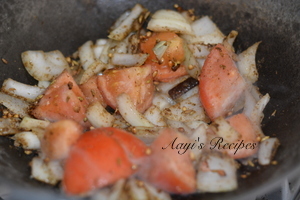 Then add tomatoes and cook till they are soft. 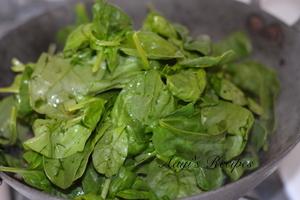 Add spinach leaves and a let them wilt a bit. Make it into a smooth paste. 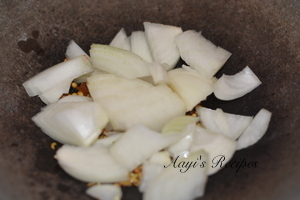 Heat oil in same pan and add black cardamom and onions. 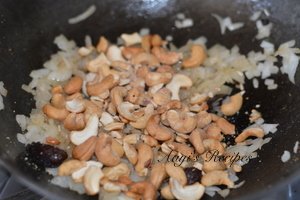 Add cashews, followed by marinated chicken. Fry for few minutes and then add the masala paste, salt. Cover and cook till chicken is done. 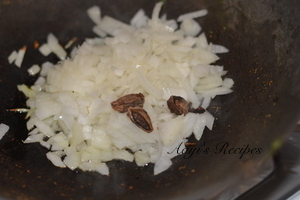 Serve hot with chapatis/rotis or rice. Indian food is always great in taste and flavorsome. 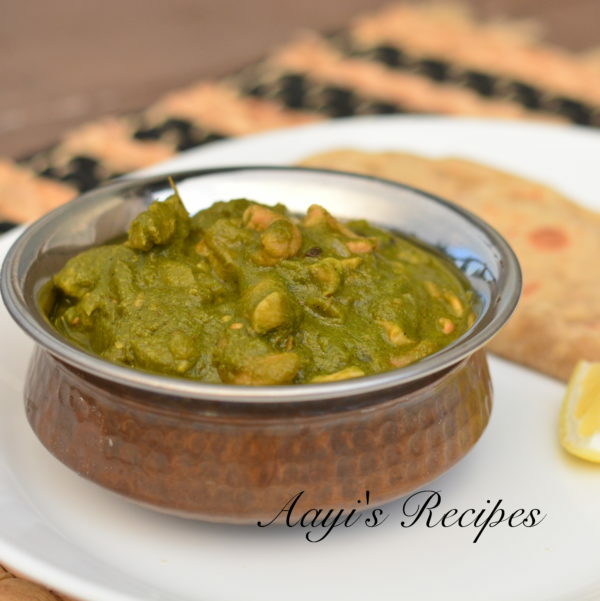 You can cook Indian dishes at home with recipes available online. When you are newbie in cooking, just take help of cooking recipes that you can find in clicks at online. I am a big foodie. I like chicken. I do not eat mutton regularly. However Spinach-Cashew Chicken is new to me. First time I am checking this. I have tried to order from local restaurant but not found. Now I will prepare it myself. I am really thankful to Ms Shilpa for the recipes. 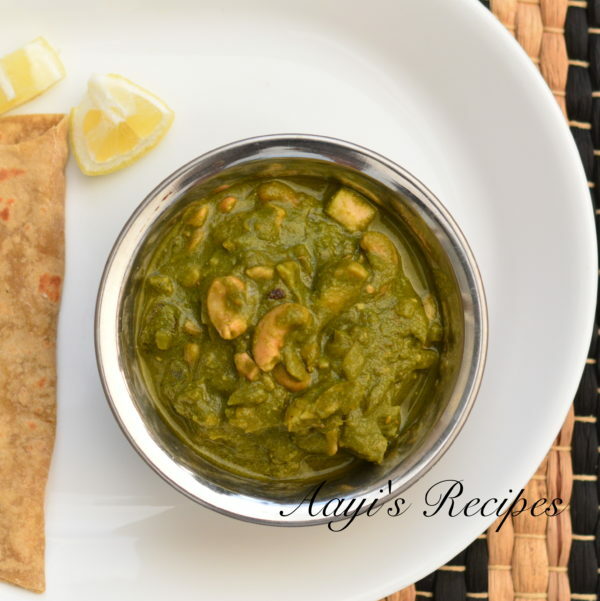 Recently I have found Spinach-Cashew Chicken recipes in thebetterindia site. It is also good. 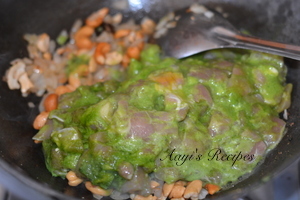 I love cashew nuts and spinach, great idea to cook them together!!! hi, -please urgently confirm if it is cloves or jeera in the column for ” paste” and also its quantities.